The famous Twitter app Twidroyd, that also can post to Facebook, is now available in a new version. Shortly after the big 6.0 release there is a little update of the update :). 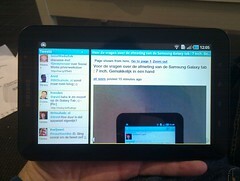 Twidroyd is available at the Android Market in a free and a paid version.